I've been rolling my eyes at Bias Busters, which Stacy Bias brought to my attention this week. Bias Busters is a new initiative by the Obesity Action Coalition, an anti-fat lobbying organisation based in the US. The nonsense rationale for Bias Busters is that stigma and discrimination against "the obese" aren't nice, so don't do it, but that doesn't mean that being fat is ok, far from it! Those behind Bias Busters unhelpfully introduce the project with the cringe-inducing claim that "Weight bias is the last acceptable form of discrimination in today’s society." This is a statement that has been well picked-apart by fat activists for its lack of understanding of the ongoing dynamics of marginalisation, but its use exposes Bias Busters' alienation from any radical critique of fat oppression, or any other kind of oppression, come to think of it. Bias Busters goes on to rail against fat suits, and takes credit for actions against PETA's fatphobia. 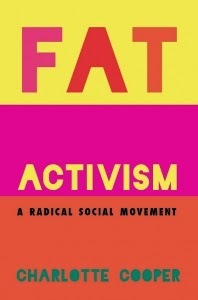 This would be all well and good if the Obesity Action Coalition had some connection to the 40 year+ social movement called fat activism, but a peep at their Helpful Links page reveals that this set-up is a front for the weight loss industry. Glancing down the Board of Directors' list, who are named without any references to their entirely likely links to weight loss businesses, I see one Rebecca Puhl. Puhl is Director of Research and Weight Stigma Initiatives at the Rudd Centre for Food Policy and Obesity at Yale University. Earlier this year Puhl gave an interview to a Canadian newspaper in which she appeared to take credit for my headless fatty concept, although she renamed them 'the headless stomach' – no need to use that horrible F-word, 'stomach' is much nicer and more polite, and of course it's always always about the belly! 1. Discrimination, stigma and bias cannot be the only basis upon which critical perspectives on fat are based. Whilst these topics are fundamental in many ways, focusing on them to the exclusion of other aspects of fat embodiment, fat culture for example, or fat people's agency and resistance, does not do enough to trouble the idea that being fat is always awful and that the remedy should be weight loss. 2. 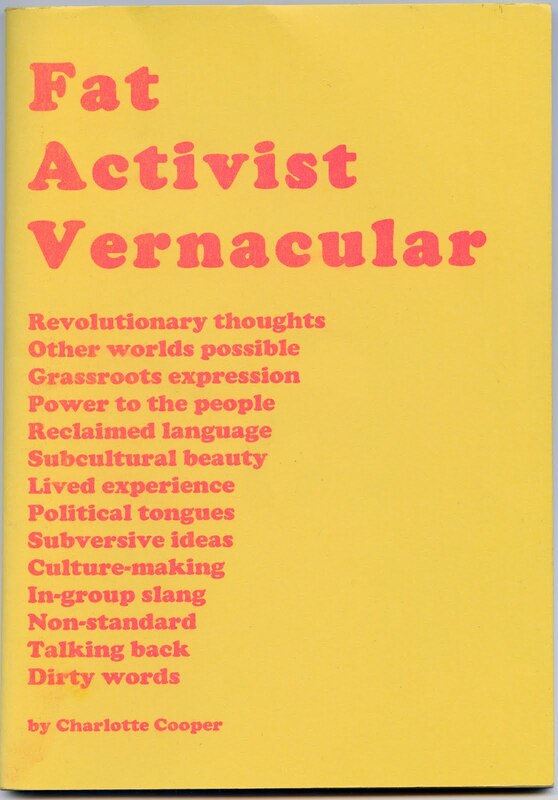 In the early 1970s The Fat Underground identified fat oppression as a product of the medical-industrial-complex, and allied fat oppression with other systems of oppression in the world, they showed that ending oppression entails ending systems of oppression. Bias Busters makes it look as though fat hatred has nothing at all to do with the weight loss industries that pay for the Obesity Action Coalition, and many similar obesity lobbying groups. These people and organisations are the problem they are claiming to eradicate. 3. Bias Busters, 'the headless stomach', and The Rudd Centre put me in mind of the old Big Fat Blog post Weight Watchers Co-Opts Our Language. I'm also thinking about a number of (normatively-embodied, yeah, this is a generalisation, but still, interesting) scholars I'm coming across who won't use Fat Studies to describe their work, they believe the F-word is alienating, yet they benefit greatly from Fat Studies networks. Appropriation is starting to be a big problem. Some people might be flattered by this, at long last They are taking notice of Us. But this is not so because They are the equivalent of the Borg; We threaten them with annihilation, so They want to disarm us before We blow them up, to use a handful of militaristic metaphors, this is the War on Obesity after all. People and organisations who appropriate and diminish radical fat ideas are the ones who have a lot to lose if those ideas are allowed to bloom. The arrogant appropriation of ideas exposes their flimsy grip on the power they will do anything to retain. This propagandist appropriation of fat activist and fat studies concepts by people who have no intention of dismantling fat oppression, and who profit from it, makes me wonder if the war on obesity is becoming a cold war. It's not just them though, it's a whole network of nicely-funded anti-fat lobbying groups. I wrote a BFB post on headless fatties last year, and at the time I wasn't really conscious of where I'd picked up that phrase. Now I realise that it must have been from your blog. I've linked it back to your original article, now. It's not necessarily true that everyone who's commenting on the phenomenon is plagiarising, though. Those pictures have been all over the mass media for decades, and I'm sure we're not the only people who have noticed them. But yeah. I get really angry about the half-assed talk about stigma by the anti-obesity lobby, too. And that weight watchers ad campaign was just blatant appropriation. Oh, I agree that it's not always plagiarism, that part is fine. But Puhl is head of this department at Yale, is presumably a seasoned researcher, and should know better. It always amazes me when people who are supposed to be professionals in this area know less about it than I do. And WTF is it with social science academics who don't seem to understand either the technical/health related or the social justice intersections? I mean, the basics are pretty obvious and it took me a while to grasp some of the theory and vocabulary, but I'm a freaking engineer. I don't have a Ph.D., let alone one in a related field. Is it just willful ignorance? I suspect it comes with a high status professional identity based on speaking for people. Yes, yes, yes, yes! This post articulates a whole lot of stuff I've been uneasy about but not able to pin down about the appropriation of fat activism by (yes, often normatively-sized) researchers with assimilationist aims. The paternalism involved in this dynamic is particularly irksome to me.